JNN 04 July 2014 The inability of Iraq’s parliament to agree on a new government in its first session was a “regrettable failure”, Iraq’s top Shi’ite cleric, Grand Ayatollah Ali al-Sistani, said in a Friday sermon delivered by his aide. Ayatullah Sistani intervened a week ago in Iraq’s political crisis by urging lawmakers at their opening session to put aside disputes and form a new government to tackle an insurgency spearheaded by an al Qaeda splinter group that could fracture the country. 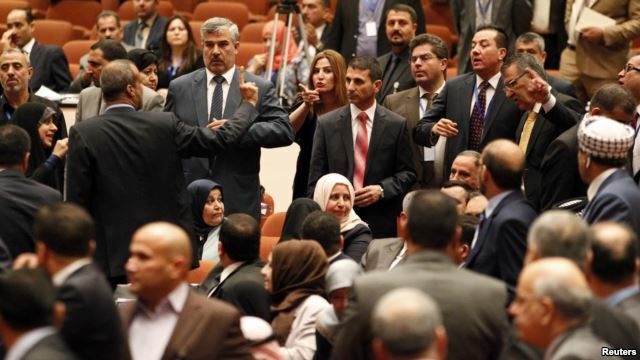 But on Tuesday parliament’s first meeting since its election in April ended without progress toward a government after Kurdish and Sunni Muslim lawmakers walked out, complaining that Shi’ite Muslims had not decided on a prime minister. “Last Tuesday the first session of parliament convened. People were optimistic that this would be a good start for this council in its commitment to the constitutional and legal texts,” Sistani’s aide, Ahmed al-Safi, said in a sermon at the Imam Hussein shrine in the Shi’ite holy city of Karbala. Sistani also reiterated his call that the new government should have “broad national acceptance”. The prime minister has traditionally been Shi’ite in Iraq’s governing system set up after the United States toppled Saddam Hussein in 2003, while the speaker of parliament is Sunni and the largely ceremonial president is Kurdish. None of the blocs has settled on a nominee. Opponents of Prime Minister Nouri al-Maliki blame his divisive rule for the worsening crisis and are demanding he be replaced. Sistani on Friday reiterated his call for the new government to have “broad national acceptance”. This entry was posted in Iraq News, Middle East and tagged Ayatullah Sistani, Government, Grand Ayatollah Ali al-Sistani, Iraq, Iraqi government, iraqi parliament, regrettable failure, Sistani. Bookmark the permalink.